With this research we aimed at obtaining and evaluating the attitude of teachers regarding the new curriculum, implementation challenges, and pre-implementation issues such as training for their preparation for implementation. The research was conducted through quantitative and qualitative approaches. Quantitative data we have collected through the questionnaire, which in the end had an open question in which the majority (about 83%) expressed their opinion on the curriculum, training and challenges during the curriculum implementation. On the meantime of the realization of this research we followed the debates of teachers in the social networks, such as 'Teaching in Kosovo', managed by GIZ mission in Kosovo. The attitude of teachers from different Kosovo schools both in social networks and in our research turns out to be in two extremes, such as: very positive, according to Liker scale ‘I totally agree’ and ‘disagree’, (N=178), (M=2.11, DS=.88) to a statement that Curriculum is a failed experiment (M=2.89, DS=1.19). Curriculum Approach based on achieving competencies is new, so the reluctance of teachers to this change is evident. This proves in our research, where the average level of compliance of agreements is revolved around the dilemma. The research methodology is mixed. The sample consisted of 178 teachers with different demographics. The sample was intentional. The research shows that schools and teachers who have had enough and accurate information, but also proper training, express more positive attitude towards curriculum, training and overall reform. •	Ball, S., (1994). Educational Reform. A critical and Post-Structural Approach. Buckingham: Open University Press. •	Brown, M.A., (1980). Attitudes and Social Categories: complementary Explanations of Innovation-Adoption Behavior. Environment and Planning A, 12(2). •	Brophy J.E. and Good, T.L., (1974). Teacher-student Relationships: Causes and Consequences. New York: Holt, Rinehart, and Winston. •	Clark, C.M., and Elmore, J.L., (1981). Transforming Curriculum in Mathematics, Science, and Writing: A Case Study of Teacher Yearly Planning. (Report No.IRT-RS-99). Washington DC: National Institute of Education. (ERIC Document Reproduction Service No. ED205500). •	Carr, D., (2003). Making Sense of Education: an Introduction to the Philosophy and Theory of Education, Rutledge Palmer 11, New Fetter Lane, London EC4P 4EE. •	Fullan, M., (2010) Forcat e ndryshimit, Depërtimi në thellësitë e reformës arsimore, CDE, Tiranë. •	Gorsuch, G.J., (2000). EFL Educational Policies and Educational Cultures: Influences on Teachers' Approval of Communicative Activities. TESOL Quarterly 34(4). •	Ghaith, G. and Yaghi, H., (1997). Relationships among Experience, Teacher Efficacy, and Attitudes toward the Implementation of Instructional Innovation. Teaching and Teacher Education, 13(4). •	Kennedy, C., (1988). Evaluation of the Management of Change in ELT Projects. Applied Linguistics, 9(4). •	Kable, E., (2001). Making sense of a New Curriculum Text within Competing Discourses and Complex Contexts. Contemporary Issues in Early Childhood. •	Kennedy, C. and Kennedy, j., (1996). Teacher Attitudes and Change Implementation. System. •	Morris, P., (1988). Teachers’ attitudes towards a Curriculum Innovation: an East Asian Study, Research in Education, SAGE Journals, shkarkuar më 10.01.2018. •	Marsh, C.J. and Morris, P., (1991). Curriculum Development in East Asia/Edited by Colin Marsh and Paul Morris. London: Flamer, Print. •	MacDonald, B. and Walker, R., (1976). Changing the Curriculum. London: Open Books. •	Ornstein, A.C. and Hunkins, F.P., (2004). 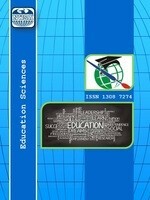 Curriculum: Foundations, Principals and Issues (4th ed.). Boston: Allyn & Bacon. •	? (1994). The Textbook-Driven Curriculum. Peabody Journal of Education 69(3). •	Priestley, M., and Biesta, G. (Eds).¬ (2013). Reinventing the Curriculum, New Trends in Curriculum Policy and Practice, London, Bloomsbury. •	Ross, E.W., (Edits). (2001). The Social Studies Curriculum: Purposes, Problems, and Possibilities, State University of New York Press, Albany. •	Young, R. and Lee, S., (1984). EFL Curriculum Innovation and Teacher Attitudes. In P. Larson, E. Judd and D. Messerschmitt (eds.). On TESOL ’84 TESOL. •	Snyder, J., Bolin, F., and Zumwalt, K., (1992). Curriculum Implementation. Handbook of Research on Curriculum, 40(4). •	Wang, C., (2002). Innovative Teaching in Foreign Language Contexts. In: Savignon, S. (Ed. ), Interpreting Communicative Language Teaching. (pp:131–153), Yale University Press, New Haven. •	MASHT, (2017). Korniza e Kurrikulës, e rishikuar. •	MASHT, 2017). Kurrikula Bërthamë, arsimi I mesëm I ulët 6-9, I rishikuar. •	MASHT, (2016). Udhëzimi administrative për zbatimin e Kurrikulës GIZ/Mësimdhënia në Kosovë, portal në FCB. Qershor, 2018. ISNAD POTERA, ISMET , SHALA, LULJETA . "TEACHERS' ATTITUDES TOWARDS NEW CURRICULUM". Education Sciences 14 / 1 (January 2019): 52-69.